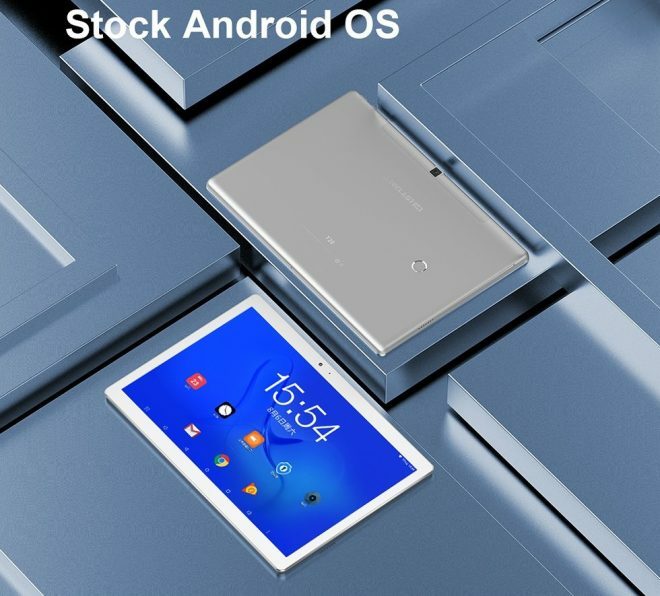 The new 10.1-inch 10-core Helio X27 MediaTek MT6797X powered tablet Teclast T20 is now available for order from Aliexpress for $239. 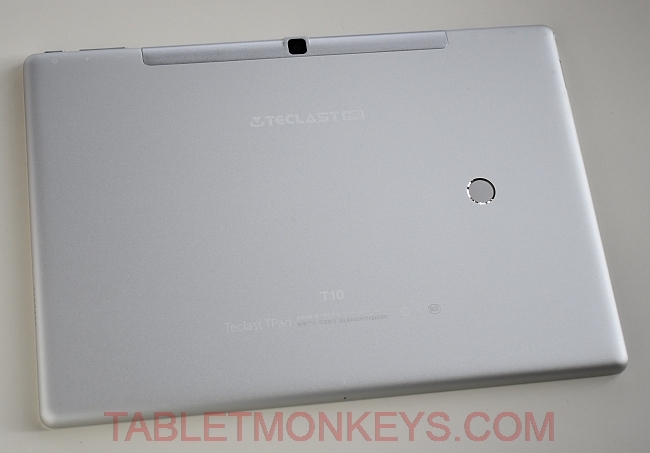 Teclast T20 is the successor to the Teclast T10, which was launched this time last year with high specs and a solid design. Most of the specs and design features have remained the same, but not all. 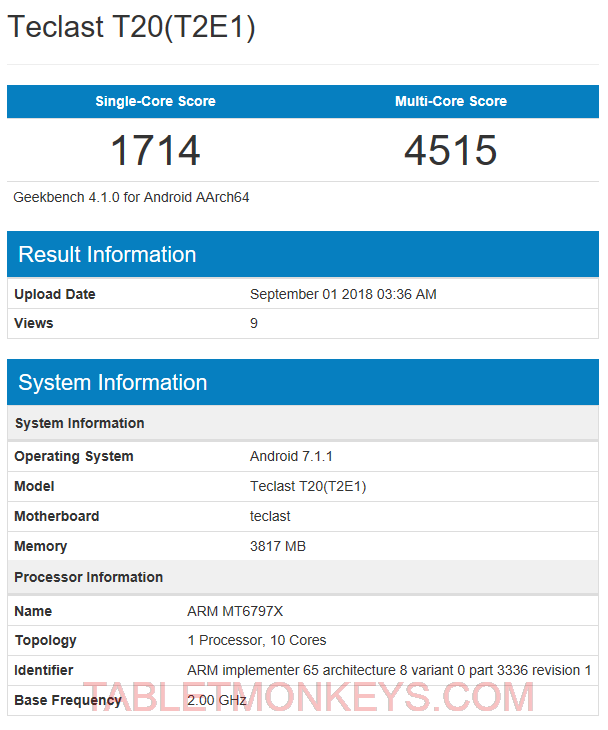 Most importantly is the upgrade from the MediaTek MT8176 processor, to the 2.6 GHZ MediaTek MT6797X processor, otherwise known as the deca-core Helio X27 processor which gives the Teclast T20 benchmark scores of 1714 in single-core, and 4515 in multi-core scores on Geekbench 4. 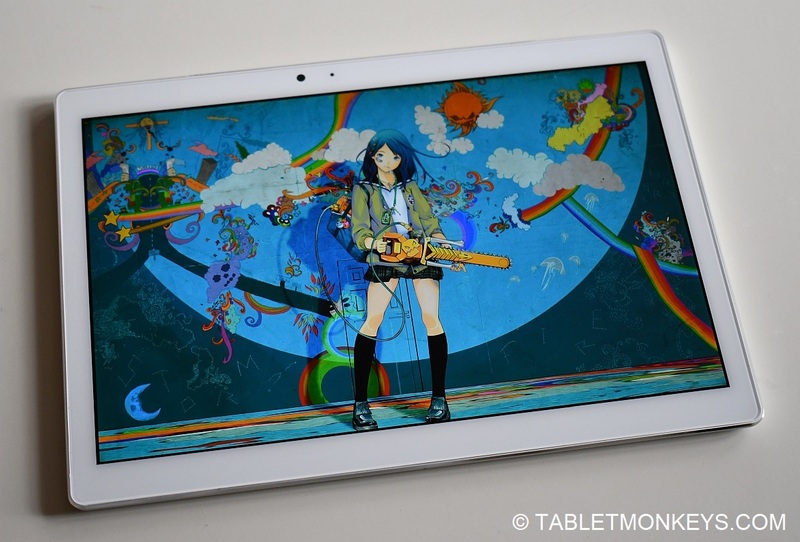 Solid figures for an Android tablet, and it represents something of a 10% performance upgrade. With that, we also get the Mali-T880 MP4 GPU, 4GB of RAM, 64GB of storage, and 256GB microSD card support. Another thing that’s new is the introduction of a USB Type-C port. 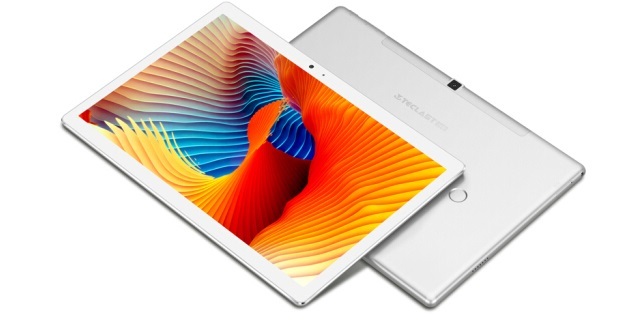 Teclast have kept the great fully laminated 2560 x 1600 resolution display from SHARP, the rear fingerprint reader, but now features high resolution 13MP cameras both on the front and on the back of the tablet, and the camera is from Samsung. What isn’t new however is the Android 7.1, so that’s the only caveat. 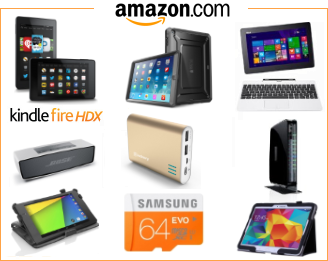 But I think that’s because this tablet is mostly geared towards those who want the power for gaming and other power hungry tasks. Other than that it has full dual-band 802.11 a/b/g/n/ac Wi-Fi cover, 4G LTE (for some countries), stereo speakers, GPS, and a 8 hour battery life, coming from a 8100 mAh battery with fast charge support. The standby battery life on Teclast tablets with these MediaTek processors is phenomenal, so if you don’t use it much on daily basis, it can still keep going a month after it was charged the last time.